The tension in the room where our interview with 24-year-old Chris Valencia took place was almost suffocating. 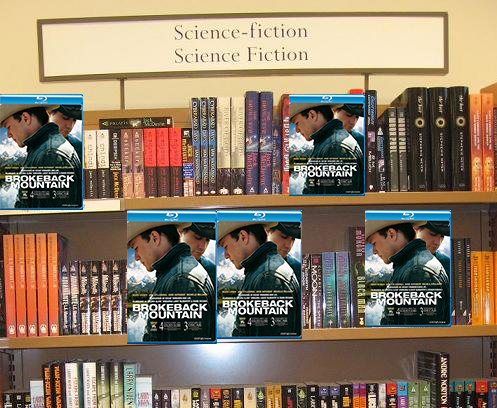 Valencia made local news headlines by taking blu-ray discs of the Academy Award nominated film, Brokeback Mountain, and placing them in the science fiction book section of the Barnes & Noble near his house. Valencia planned to stop the “SJW revolution” by doing little things that nobody really cares about and getting lots of likes and comments online from people who barely leave the house. Valencia himself is a Hispanic male, so when we asked why he cared about the portrayal of white people, he met us with an interesting answer. Our last question for Valencia was why he decided Brokeback Mountain had anything to do with the gaming industry.